Difference between revisions of "User:Xris"
Web Developer, php guy and former regex guru. Author of [[nuvexport]] and maintainer of [[MythWeb]]. Web Developer, perl/php guy and former regex guru. Author of [[nuvexport]] and maintainer of [[MythWeb]]. 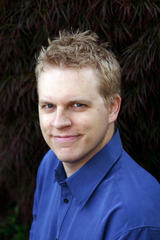 Like [[User:Beirdo|Gavin Hurlbut]], you can usually find me on #mythtv-users or #mythtv on irc.freenode.net. Like [[Gavin Hurlbut]], you can usually find me on #mythtv-users or #mythtv on irc.freenode.net. Web Developer, perl/php guy and former regex guru. Author of nuvexport and maintainer of MythWeb. Like Gavin Hurlbut, you can usually find me on #mythtv-users or #mythtv on irc.freenode.net. This page was last modified on 13 August 2010, at 14:40.